Fathi Shihab-Eddim, a senior aide to Egyptian President Mohammed Morsi, has tackled a key problem for Holocaust deniers: where did all of the Jews go? His answer? America, of course. Shihab-Eddim is responsible for appointing editors of all state-run Egyptian newspapers — a position that would normally require a degree of intellect and insight. Yet, Shihab-Eddim used the Holocaust Remembrance Day on Jan. 27 to explain his theory that this is one big hoax. It appears that while one boat load of Jewish immigrants on the MS St. Louis were barred entry in various country including the U.S., six million Jews were secretly moved into the United States. Shihab-Eddim stated that “The myth of the Holocaust is an industry that America invented. U.S. intelligence agencies in cooperation with their counterparts in allied nations during World War II created it [the Holocaust] to destroy the image of their opponents in Germany, and to justify war and massive destruction against military and civilian facilities of the Axis powers, and especially to hit Hiroshima and Nagasaki with the atomic bomb.” What is interesting is that I did not know that we needed an excuse for the destruction of the war since we did not start it. 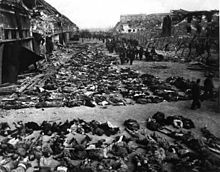 Moreover, the United States and its allies have been criticized for burying the evidence of the concentration camps to keep it from being a major issue in the war. Some Roosevelt officials like Treasury Secretary Henry Morgenthau, Jr. criticized the Administration for obstructing efforts to deal with the camps. It appears now, according to Shihab-Eddim, Morgenthau was just part of a ruse in writing private papers detailing these complaints. What is equally impressive is that we got the Germans to go along and all of those American GIs who liberated the camps — as well as a cast of thousands of emancipated individuals and corpses. 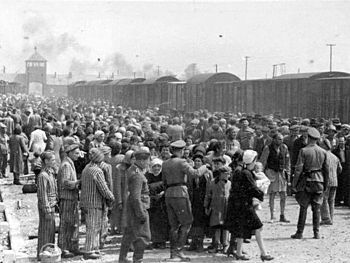 It appears that Egypt is moving to join Iran in making Holocaust a prominent part of its government. 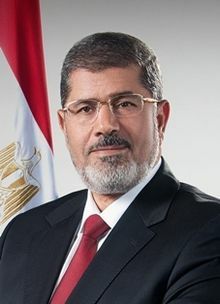 The absence of any response by Morsi leaves the impression that he either shares or tolerates such extreme views.